Bracelet sized mala with 27 beads is nice for prayer and fashion. The bracelet has a strong stretchable elastic band to easily put on. 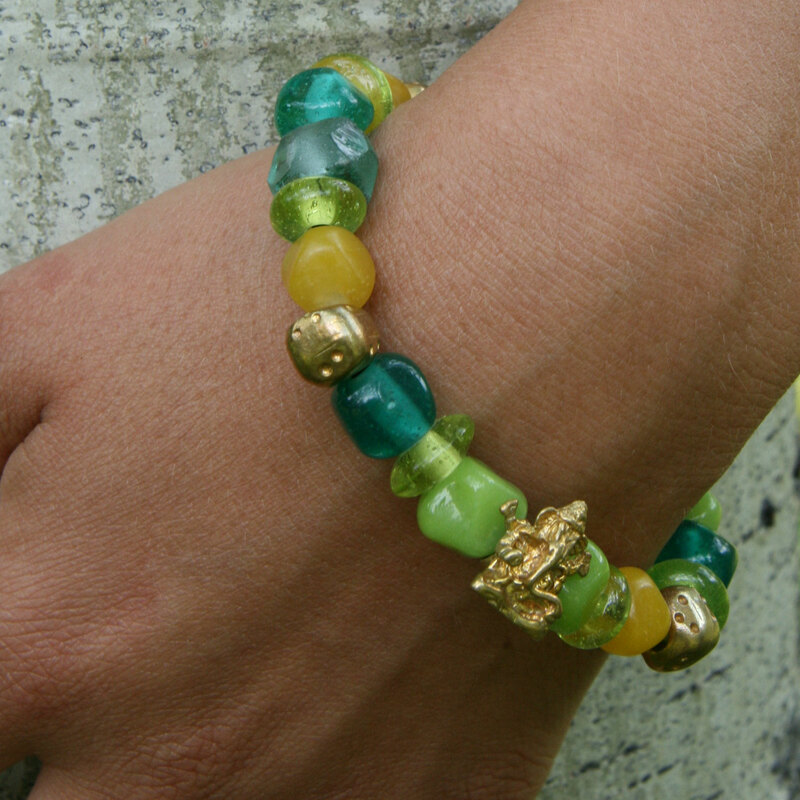 Made from recycled glass and recycled glass beads. This is an ideal japa mala bracelet for men or women. 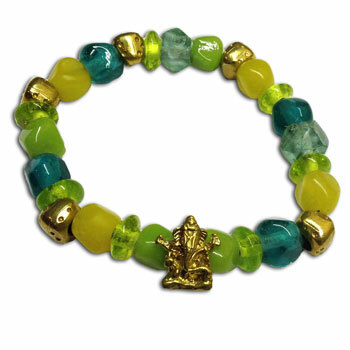 It has a ganesh bead surrounded by uplifting colors: yellow, lime green and turquoise. Ganesh is the Hindu elephant god who removes obstacles and bestows knowledge. Sturdy, beautiful, eco and fair trade!